You know about the freshman 15, right? When you gain 15 lbs. during your freshman year of college because, all of a sudden, you have no idea what to eat, and live off of soft serve ice cream, french fries, and Lucky Charms. Well, that never happened to me, thankyouverymuch. I was able to bypass the freshman 15, only to have it haunt me later in the my college days. Later meaning my study abroad semester. In Argentina. Because of dulce de leche. At first, I thought of it as a special treat. But then I suddenly realized that I will never again live in a country where it is perfectly acceptable to eat a luscious caramel sauce with every meal, and I panicked. I started eating it all day, every day, because I could – in cookies, with toast, out of the jar with a spoon! And justified it by saying that it’s a milk product! With calcium! And vitamin D! It was practically health food! 25 pounds, people. In a single semester. I may have gone overboard. But, boy, it was worth every pound. And here we are again, taking something ridiculously decadent and adding even more deliciousness. 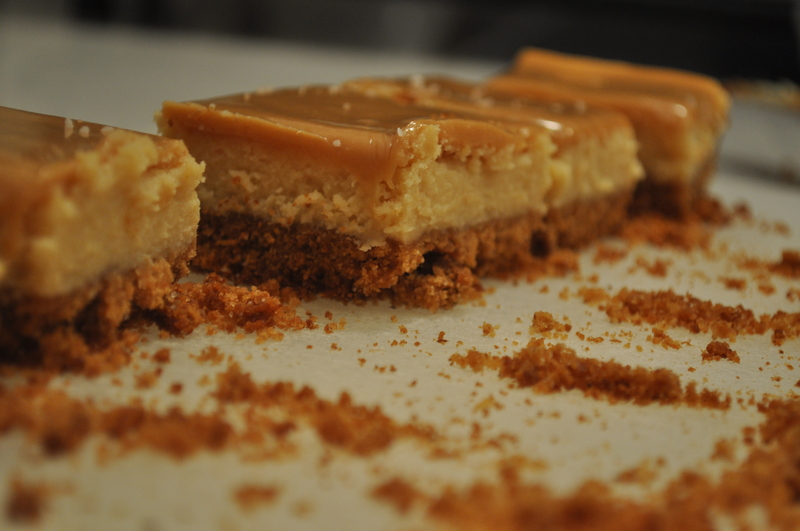 Cheesecake with dulce de leche baked right in, with even more dulce de leche poured on top. This is basically my study abroad semester on a plate. 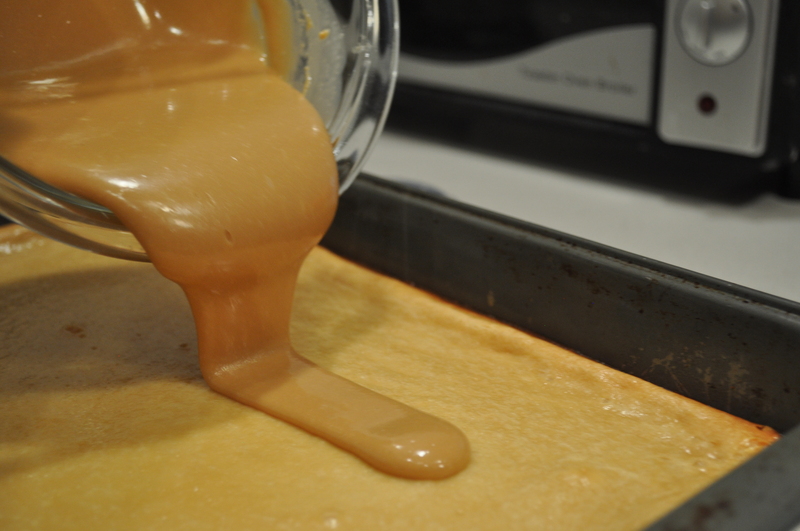 Do ahead: to make dulce de leche at home: pour two 14 oz. cans of sweetened condensed milk into a glass bowl and let it sit in a double boiler, over medium-low heat. Stir occasionally until the color of the milk has turned a deep caramel color. This will take about 2 hours. 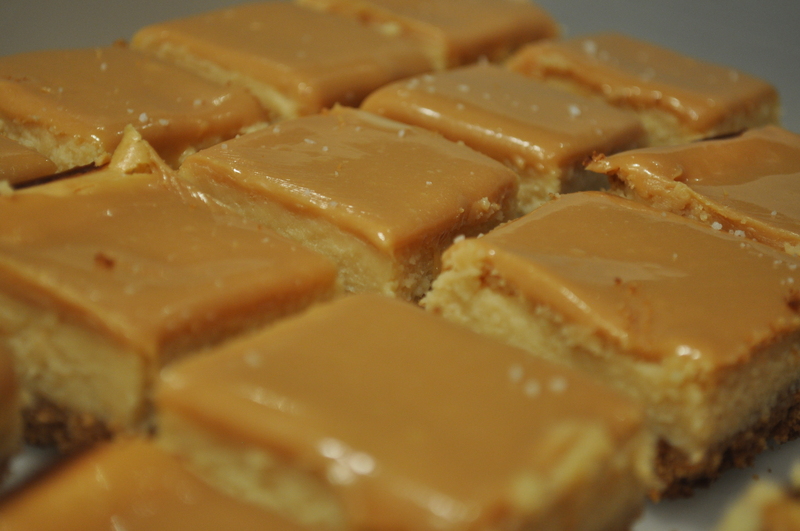 You can also buy your dulce de leche from any store. It’s quite readily available. I clearly did not know this when I lived in Argentina. Preheat oven to 350°F. Coat 13×9 baking pan with nonstick spray. Mix graham cracker crumbs, sugar, and cinnamon in medium bowl. Add melted butter and stir until well-combined. Transfer crumb mixture to pan. Press evenly onto bottom of pan. Bake until crust is light golden, about 10 minutes. Cool completely on rack. Blend cream cheese and sugar with an electric mixer until smooth and creamy, about 1 minute, stopping occasionally to scrape down sides of bowl. Add eggs 1 at a time, mixing between additions. Add dulce de leche and vanilla and mix until well blended. Spread batter evenly over cooled crust. Bake until just set in center and edges are puffed and slightly cracked, about 35-40 minutes. Let cool completely on a wire rack. 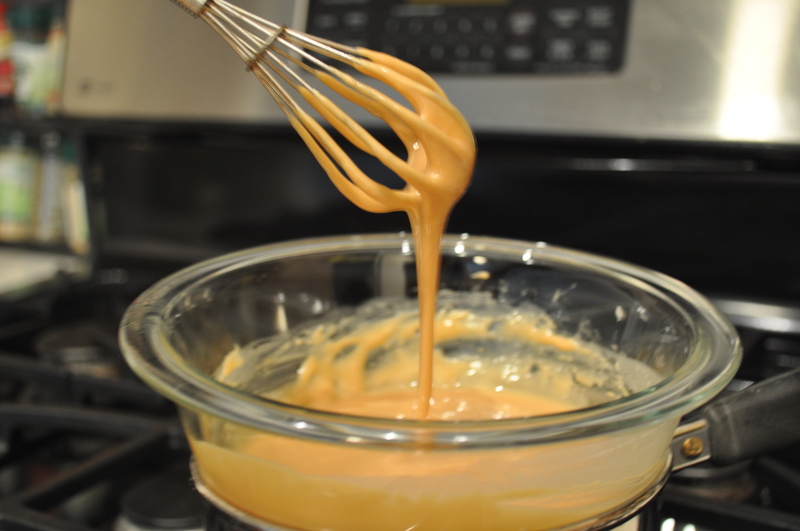 Heat dulce de leche cream in microwave-safe bowl in 10-second intervals until melted. Stir to blend, adding more cream by teaspoonfuls if too thick to pour. 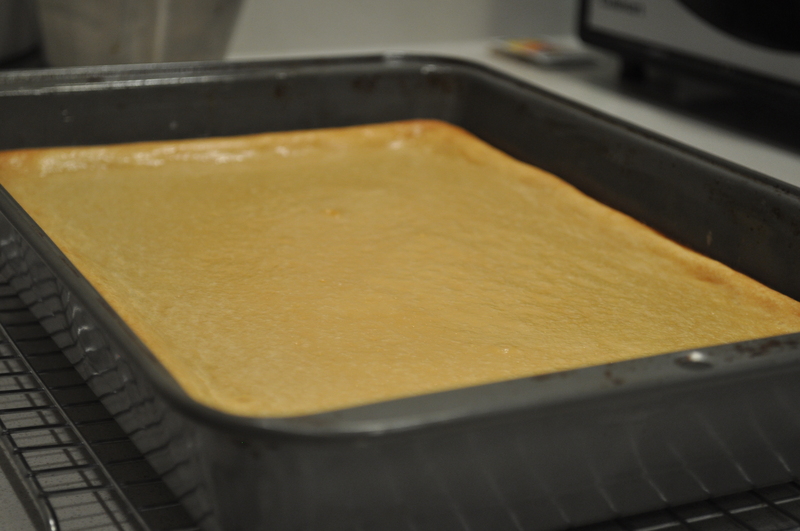 Pour glaze over cooled cheesecake and spread evenly. Sprinkle lightly with sea salt. Refrigerate until chilled. Slice into 24 squares. Every home cook remembers the first recipe that they have ever made. It is often inspired by their families, or gardens, or if you’re lucky like me…Mrs. Fields. Um, let me explain. 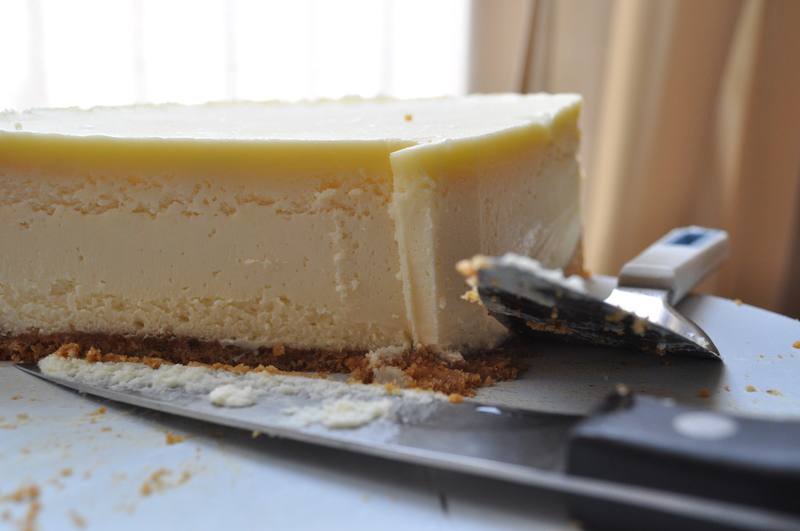 The first thing that I ever baked by myself was a white chocolate cheesecake. Divine. And impressive for a 10 year old. Why Mrs. Fields, though? The famous cookie lady? You see, there was no popular Food Network at that time, and cooking shows were not the first show of choice when my family was picking out something to watch. But I was always intrigued by her Saturday early morning show, Great American Desserts, and that day, I just got to the television before anyone else. In the interest of full disclosure, it was not really the desserts that interested me. Everyone had walked by Mrs. Fields’ cookies at the malls, but I a) never knew that a “Mrs. Fields” actually existed, and b) thought that if there was actually a Mrs. Fields baking cookies, she would be an old, fat, lovable, grandma-looking woman. I was so intrigued by this young, attractive woman being so passionate about baking. It was always so fascinating to me that she was the Mrs. Fields. For whatever reason, on that particular day, I felt motivated and chose to write down whatever she did. 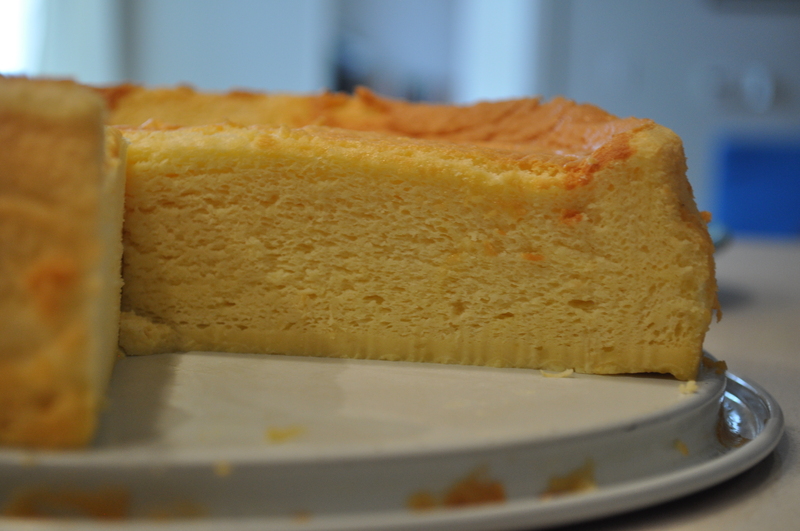 Then promptly announced to my family that I would be baking a white chocolate cheesecake that day. It was not the most beautiful baking event. I did not have a springform pan, nor did I know what one was. 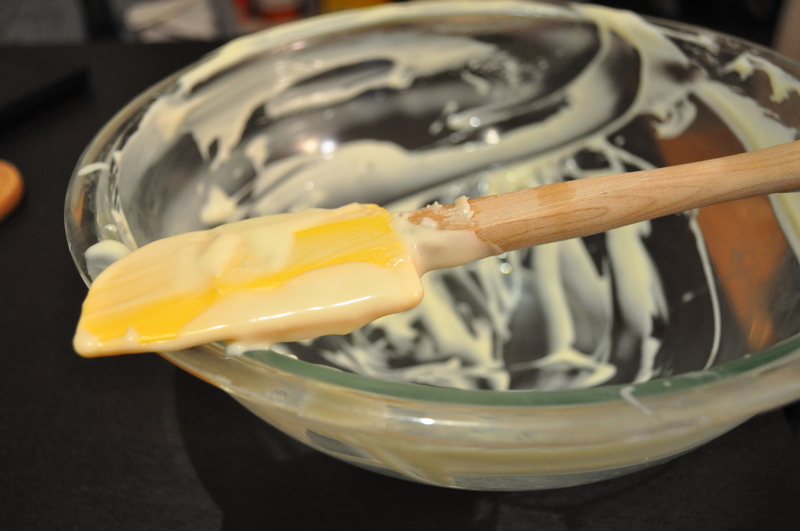 I also mixed the topping into the cheesecake batter because, quite frankly, I did not know any better. I also added a handful of stray white chocolate chips on top, because I thought that it would look pretty (it didn’t). But boy. What a cheesecake. It was the best thing ever. 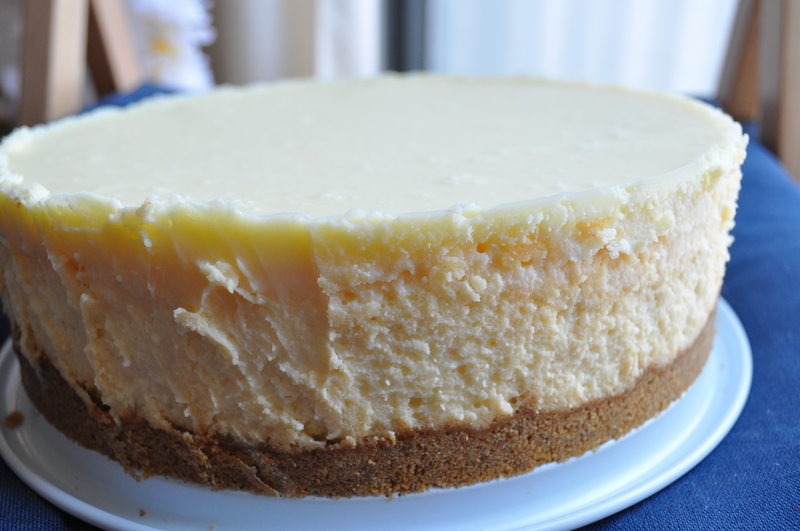 This cheesecake became a Thanksgiving tradition in my family for years to come. Until I became more adventurous and confident in the kitchen. It lost its place on the menu for a pumpkin cheesecake one year, to a sweet potato gingersnap pie the next. There was also the year that I thought that we all needed to be on diets and I decided to make all of the pies with half of the sugar. We really missed the cheesecake that year. 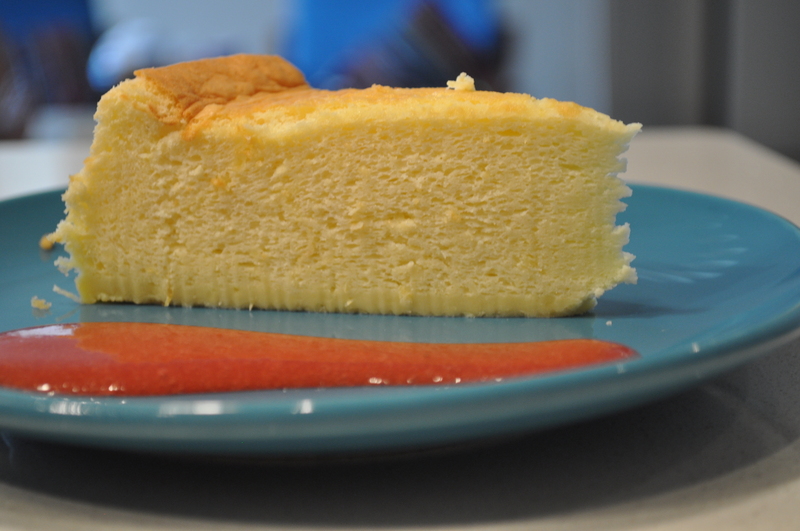 But just last week, my cousin reminded me of this cheesecake and asked me to make it for him. I no longer had the recipe, but after some internet searching and digging, I found the exact one. Having made so many other yummy dessert recipes over the past several years, I did not think that I would be that impressed with this old recipe. But it was just as delicious as I remembered it, and I think that it may find itself on the Thanksgiving table once again. Just so you know, my cousin appreciated the long lost cheesecake as well. And ate half of it in one sitting. ..Not recommended. To make the crust, combine the graham cracker crumbs and butter, and process in a food processor until combined. Wrap the outside of a 9-inch springform pan in aluminum foil. Press the crust into the bottom and up the sides of the pan. Chill the crust. 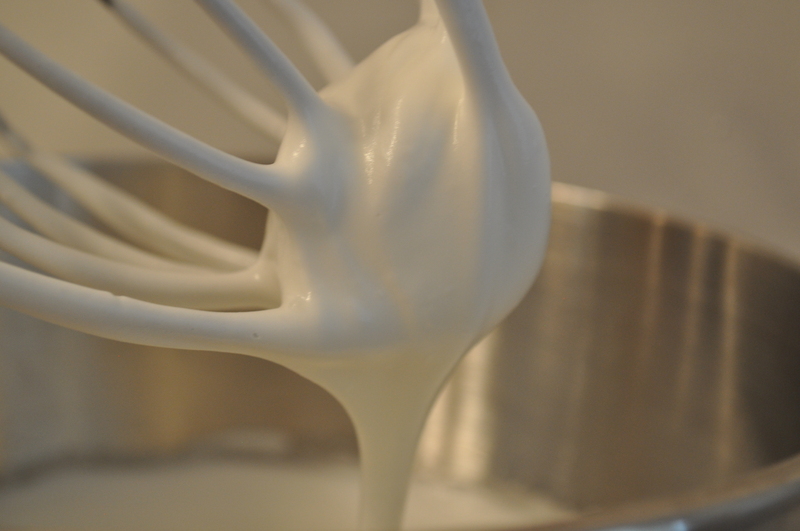 To prepare the filling, melt the white chocolate with the cream over hot, not simmering, water. Set aside to cool slightly. 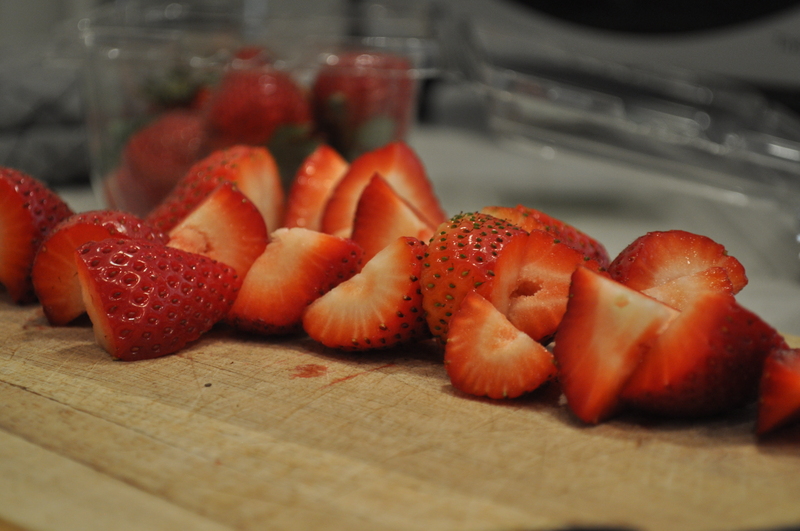 In a large bowl, beat the cream cheese and sugar until smooth. Beat in the sour cream, eggs, and vanilla. Beat in the white chocolate cream. Pour into the prepared pan. Preheat the oven to 275F. Set a shallow baking pan filled with hot water on the bottom rack of the oven. Set the cheesecake on the centre rack and bake for 1 hour. Reduce the heat to 250F and bake for 1 hour longer. Without opening the oven, turn off the heat but leave the cake in the over for 1 hour. Cool the cheesecake on a rack for 30 minutes. Meanwhile, make the ganache. Place the white chocolate in a medium bowl. In a small saucepan, bring the cream and butter to a simmer. Pour the hot cream over the chocolate. Let stand, covered for 5 minutes, then stir until smooth. Let the ganache col to room temperature. Pour the ganache over the cheesecake and spread it smooth. 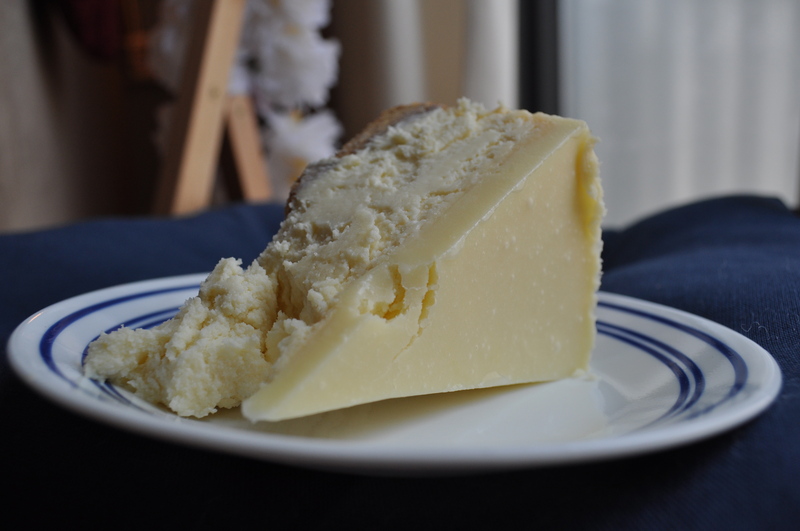 Cover the cheesecake and refrigerate for at least 8 hours or overnight. To unmold, wrap a hot wet towel around the pan, then remove the sides of the springform.